Once a week I have to travel into Edinburgh to the office and sometimes I drive and sometimes I let the train take the strain. 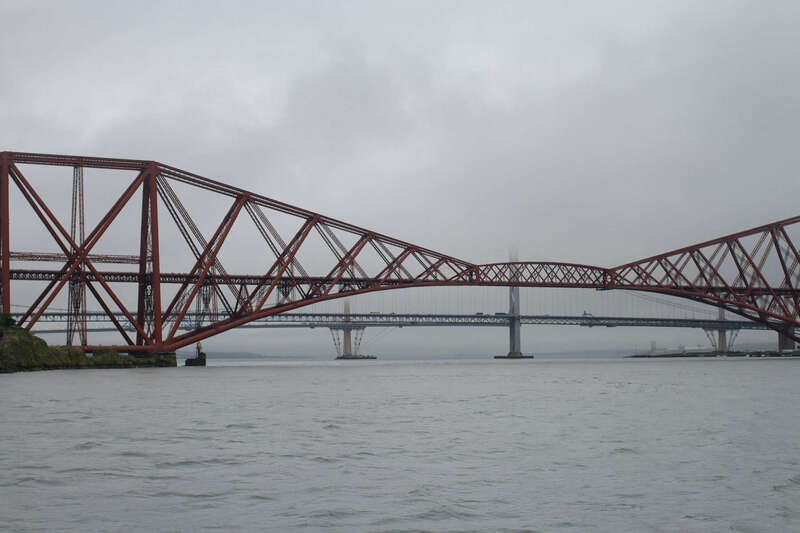 Both of these journeys give me a slightly different view of the other bridges that span across the Forth estuary but last week we took the Maid of Forth boat trip down to Inchcolm island. Of course the day before was beautiful blue skies and 20+ degree heat and there was no way that was going to happen two days running! So, it was grey, misty and the air was damp but actually that was fine with me too because I always think when the tops of the bridges are covered it looks rather dramatic. We had brought with us our warm jackets and hats anyway so we were prepared to be out on the water. Our sailing was at 10:30 and we had arrived rather early at Hawes Pier (we left home early just in case the traffic was bad – it wasn’t!) and had time for a hot drink to warm us up at the cafe near the car park (free car parking – always a bonus). We collected our tickets from the office on the pier and chatted to the lady behind the counter about the wildlife we may get to see, the abbey and she wished us a good day. The Maid of Forth is a much larger vessel than our last boat trip, the Forth Ferry, and has room for 225 passengers and her five crew. 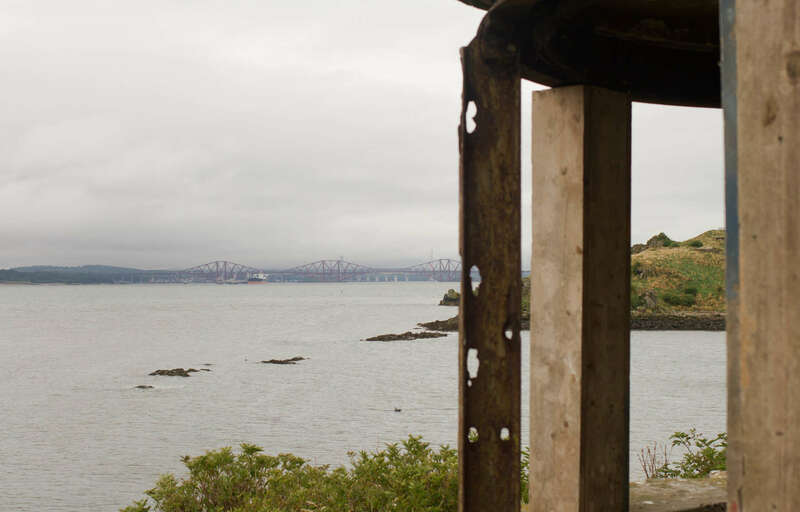 With the option of two decks you can decide how you would like to view the bridges and coastline as you sail to Inchcolm island. For us, there was only one way, top deck. The lower deck is fully enclosed and heated with seating and there is the facility to buy hot drinks and snacks too. 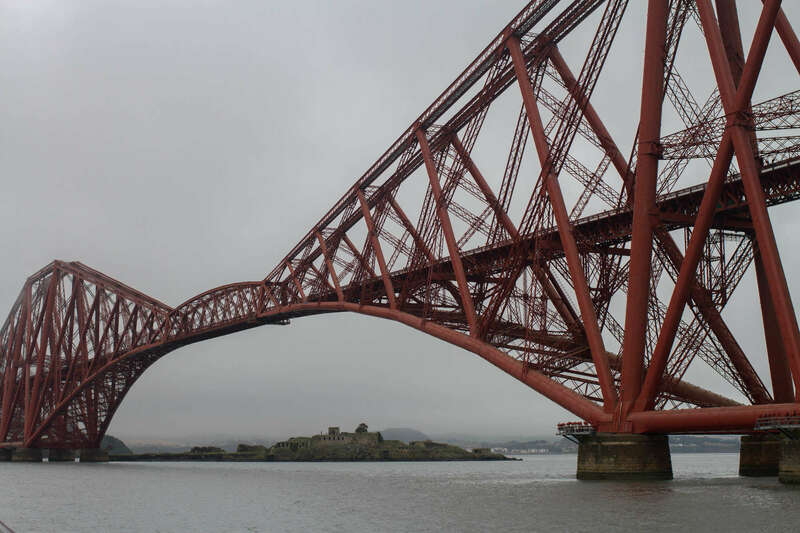 As we set off under the Forth rail bridge we gazed in total awe at this amazing piece of engineering that was completed in 1890. 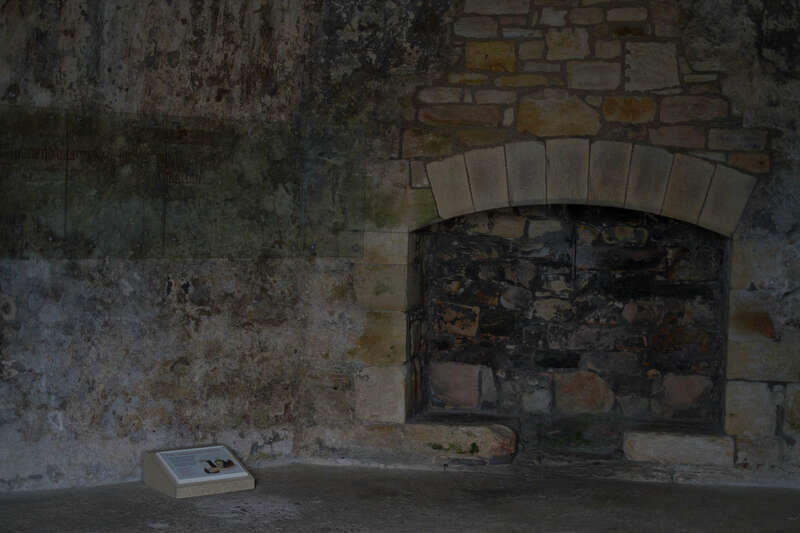 Nearly one hundred and thirty years on and this UNESCO World Heritage site even finds itself on Scotland’s bank notes! The water was calm and this is always good as my stomach is quite delicate. We cast our eyes along the coastline and I am secretly hoping we see dolphins or porpoise alongside the boat but it doesn’t happen. The views are quite magical with the low mist still hanging around. 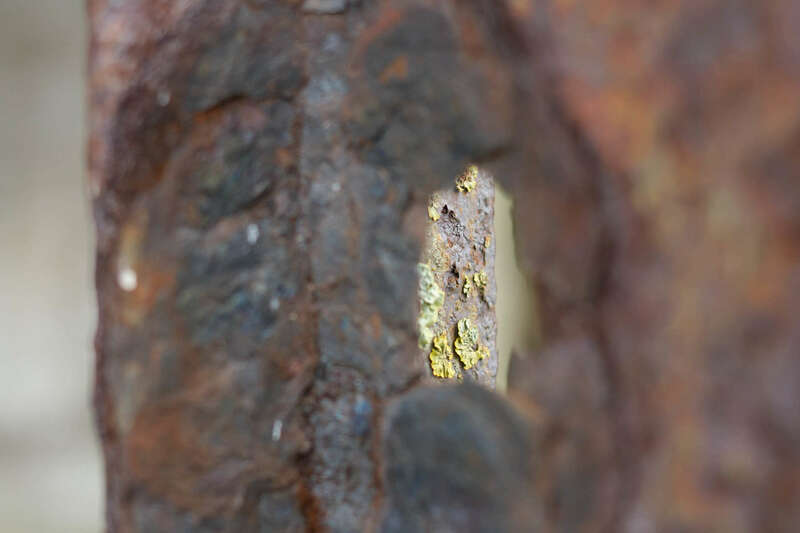 As we get closer to Inchcolm Island the captain points out some seals that are lay on rock and we get really good views of them, including a pup. Very cute. 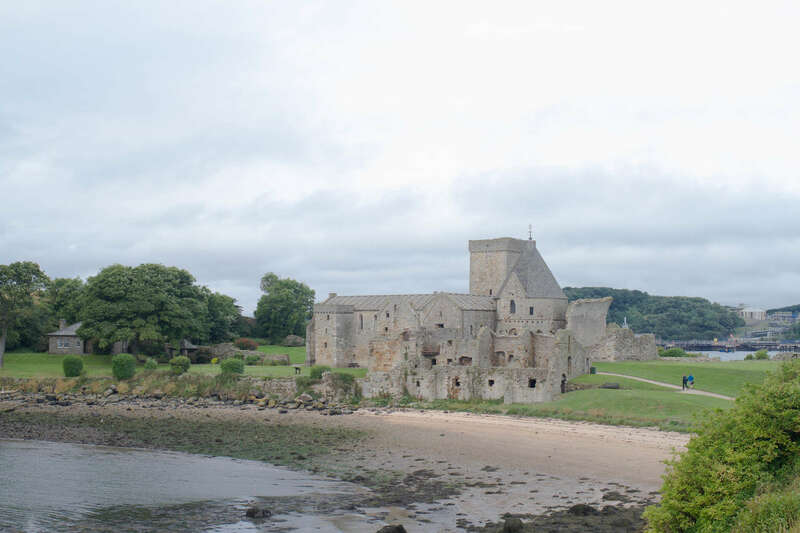 At Inchcolm we are greeted by Historic Scotland staff, they take our tickets and then we are free to roam the abbey and the island for ninety minutes. Everyone else on our trip made their way to the abbey we decided to go up the steps and along the cliff top to see the coastal defences used in both world wars first.. Still in remarkable condition considering their location and being so vulnerable to the Scottish weather. Now a good nesting site for seabirds; gulls, eider and razorbills, it seems this island, the cliffs and the buildings definitely make a good home. 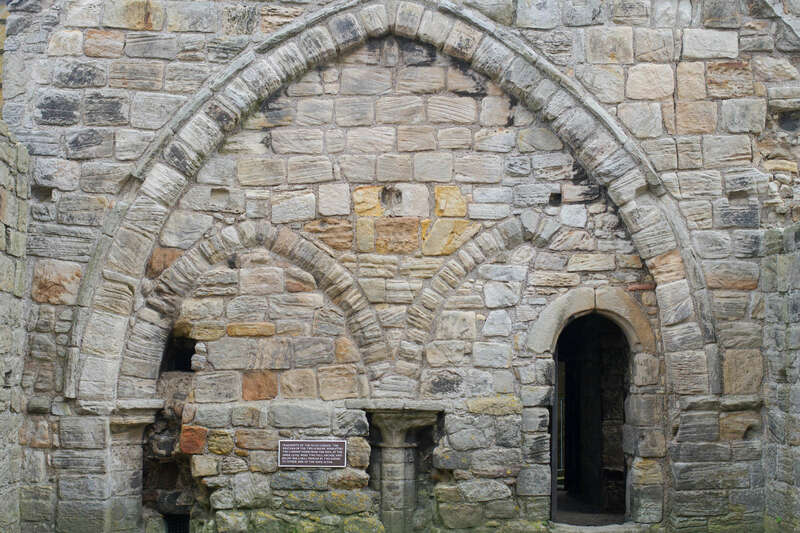 And who wouldn’t want to make Scotland’s best preserved set of monastic buildings their home? 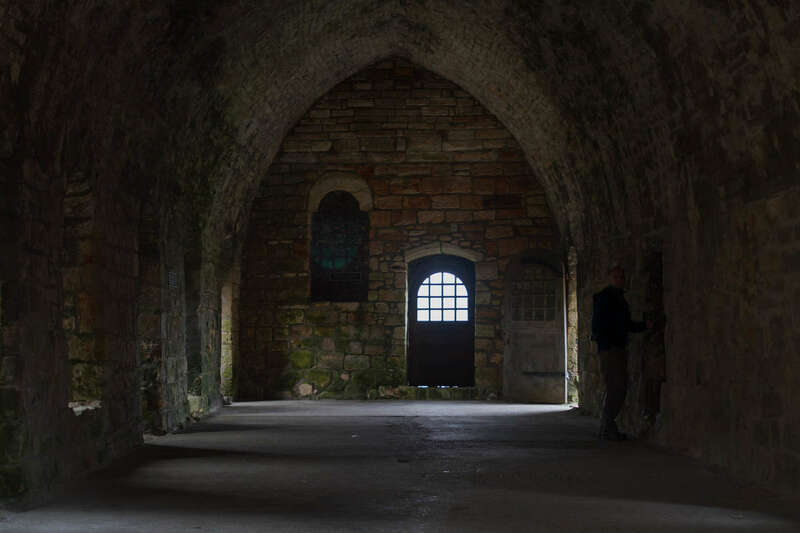 Although in it’s passed life Inchcolm island and abbey have seen a mix of tranquility and conflict, also providing shelter. So much history for a tiny island. 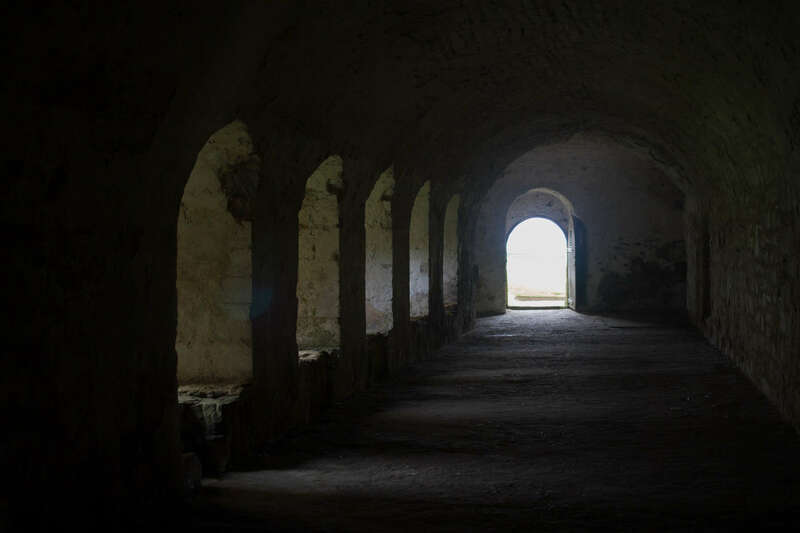 Exploring the abbey itself is not for the feint hearted that’s a fact! 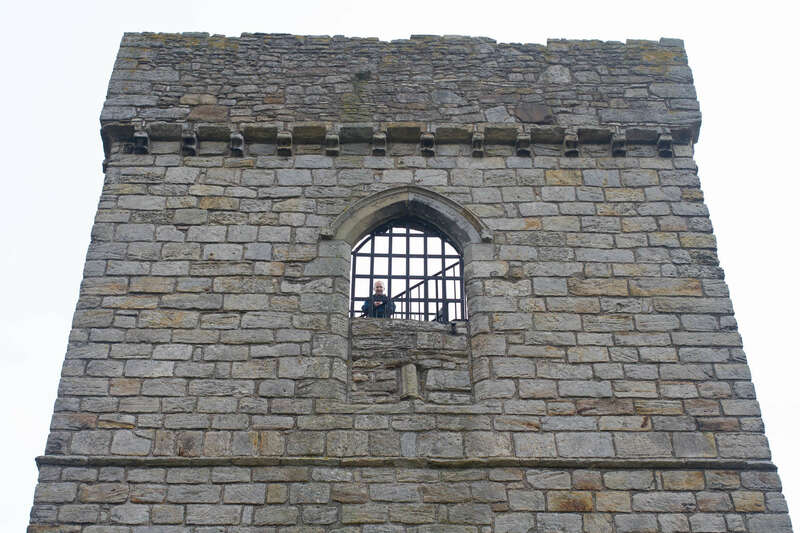 I am not afraid of heights at all but the narrowest of spiral stone staircases was enough for me to miss out on the view at the top of the tower. 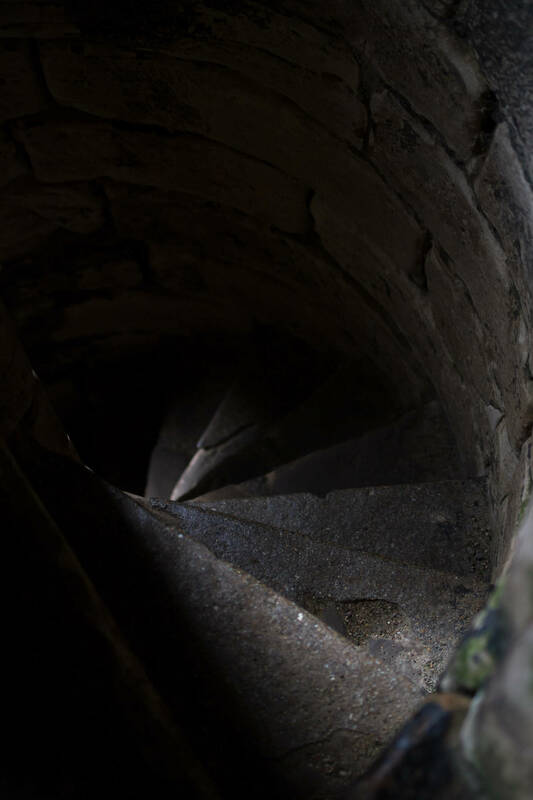 There are many rooms, passageways and staircases to explore and so I would say it is not great for those with mobility problems. Still very much worth a visit though. After a quick peruse of the gift shop our ninety minutes were nearly over and we made our way back to our pick up point. 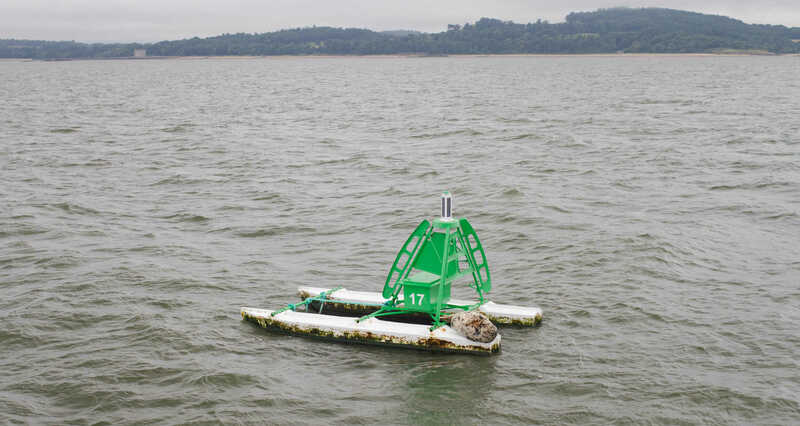 All aboard and we sailed slowly back to Hawes Pier this time getting a super close up of a seal on one of the buoys and then under the Forth road bridge (wow that thing makes some noise even from down below!) and a close up of the new bridge which is due for completion in 2017. Arriving back at the pier and we were just about ready for some food. All this exploring and adventures is hungry work. We had an amazing time aboard the Maid of Forth boat trip. I would highly recommend this trip for may reasons: the view, obviously. Wildlife spotting. The interesting commentary on the boat was also very helpful. For a reasonably priced trip, located just outside the city of Edinburgh should be on every visitors list. If like me you cross the bridge for work occasionally or even every day I would say you need to experience the bridges from another angle. Well worth it. I must point out that we were given this opportunity by the Maid of Forth for free in exchange for this blog post and images. Oh this sounds great, the girls would love to go on the boat and I’d like to see the place. It sounds like you could do with a bit longer than 90 minutes! We might have to check this out next time we come and see you. Took my 90 yo father and brother on June 20th and we had a fabulous time. The captain took great pains to make sure we saw everything on offer on the way to Inchcolm The weather remained dry and cloudy but this did not deter from our lovely day out.